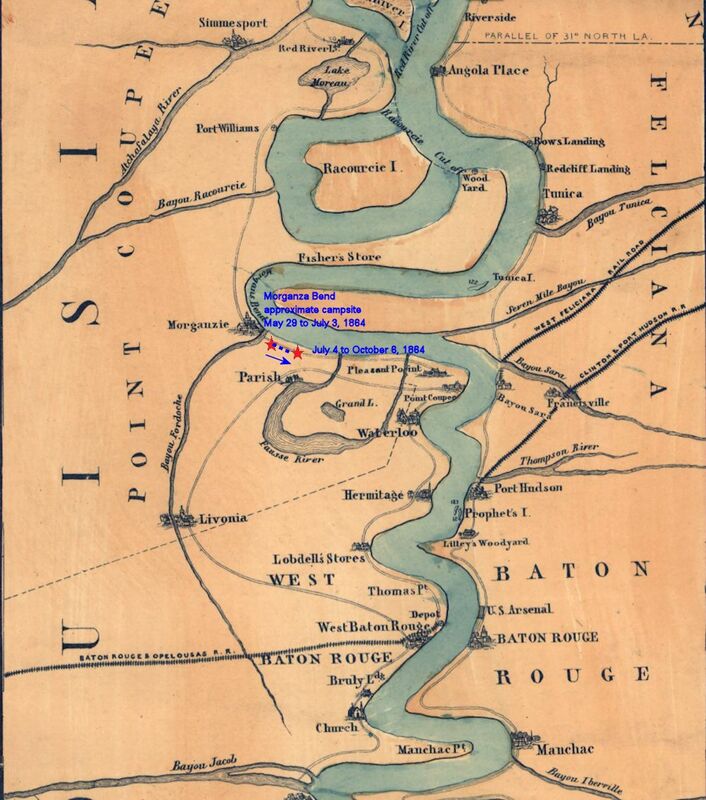 On this day the regiment, camped near the Mississippi River along Morganza Bend in Louisiana, moved its camp for the last time, setting up their tents between the levee and the river about two miles farther down river. Cpl. Wolbach tells us they could now use the river water which was better than the Previous camp. Wolbach adds that at sunrise, 35 cannons were fired in honor of Independence Day and the same were fired again at sunset. This period map shows the approximate location of the site where the 16th Ohio camped from May 29 to July 3, 1864 and then from July 4 to October 6, 1864. 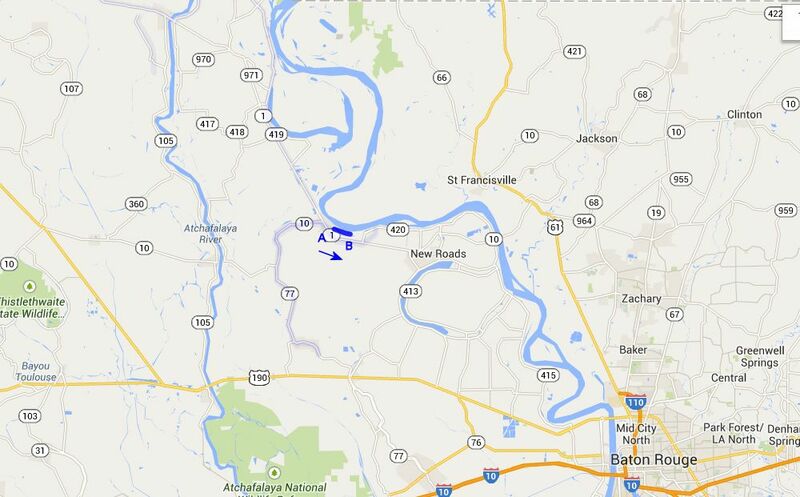 Modern day map showing the estimated location ( A ) of the 16th Ohio's campsite at Morganza Bend, Louisiana, from May 29 to July 3, 1864 and ( B ) from July 4 to October 6, 1864.